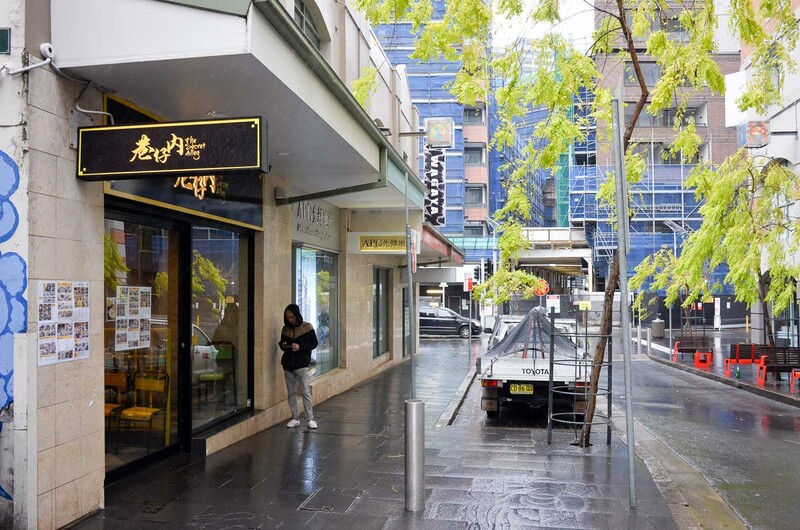 A pick'n'mix of small plates at The Secret Alley in Chinatown draws across all our favourite dishes from Taiwan in a neat table top filling way. We stopped at about 10 dishes between the two of us, with plenty more to return for. 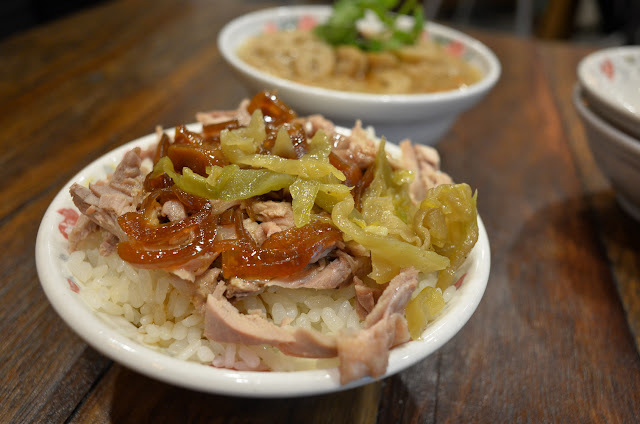 Our favourite places to eat in Taiwan are the 'economy rice' shops, often manned by a couple of older women and stacked with a range of different dishes to select from. You chose what you want and they pile it onto your plate or tin tray with a wink, smile and a nod. The Secret Alley in Chinatown reminds us of that variety of dishes, from braised tofu, lots of lightly stir fried greens, pickled mustard greens, small bowls of mopping up rice, rich minced pork and a stretch of flavours. Duck rice with duck fat sauce - $8. We go for the $18 duck set (Set H), three different dishes with duck as the feature. Why wouldn't you want duck to feature everywhere? The duck rice is small, like many of the servings here, but the flavours are quackingly large. The fat melds in with the white rice and pieces of duck and the pickled veg helps cut through the fattiness to give it some balance. Duck soup with sauerkraut - $8. 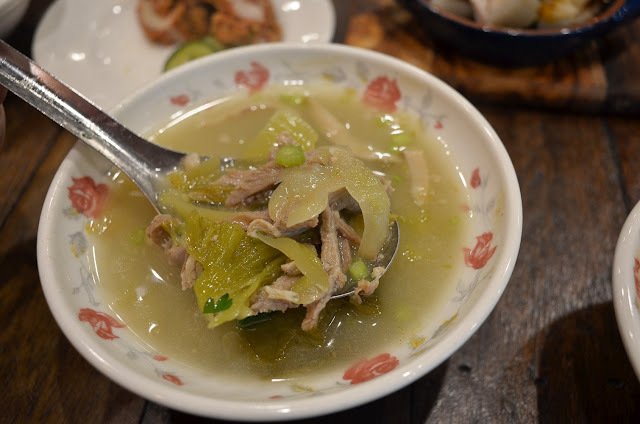 Same duck and pickled veg combo but this time in a home-style soup broth. 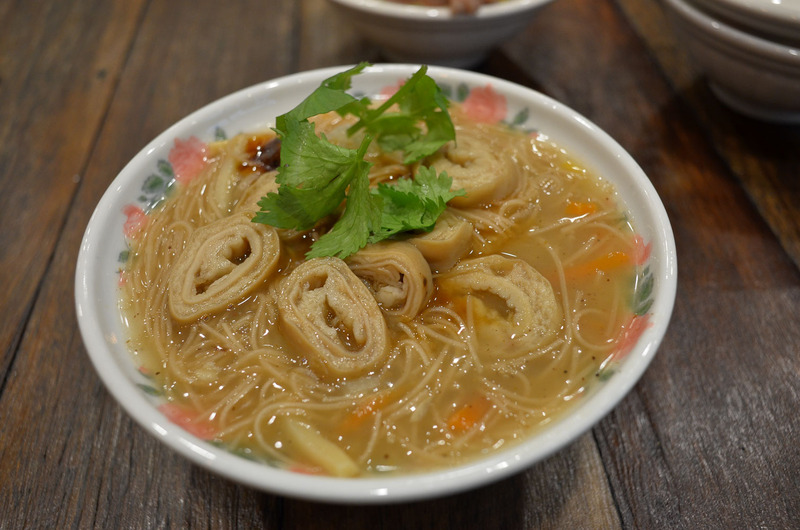 These broths are a little cloudy, kind of like the Taroko gorge near Hualien. If the Sydney weather gets all bleak and miserable, this is the perfect comforter. Braised tofu - $7. 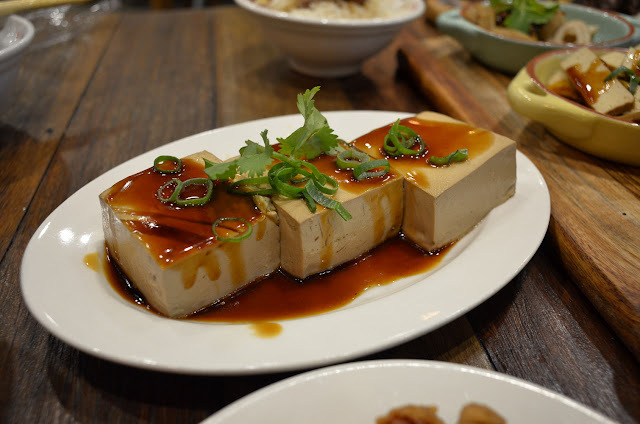 Three generously large squares of tofu that have been marinated in a soy sauce mix, then a generous ladle or two of thick sweet soy is poured on top. Braised garlic and chilli pork belly - $8. 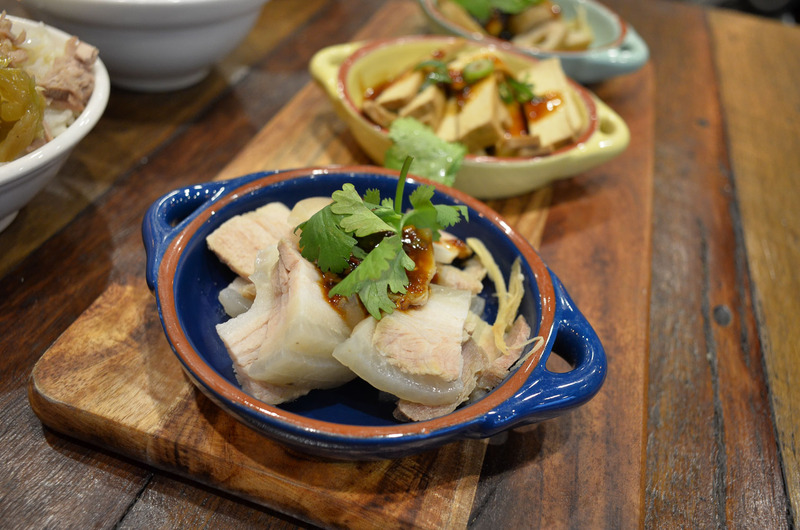 These pieces of sliced pork are served cold, with a spoonful of chilli and garlic sauce on top. Steamed blood sticky rice with crushed peanuts - $8. Rice krispie treats on a whole other world. Rice is soaked in a blood mix to give them a rich and dark colour, but not a strong flavour. 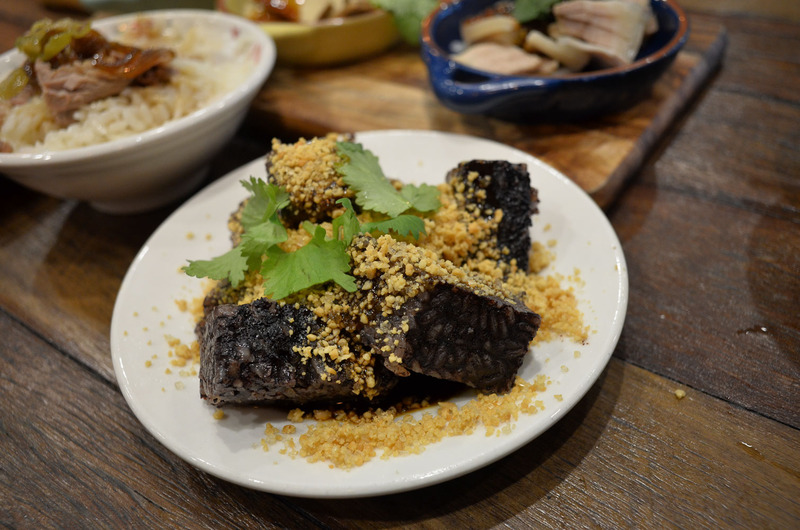 Biting into them is not as easy as it looks, these are dense in texture from the packed together sticky rice. The peanut topping had a sprinkle of sugar through it that we didn't really agree with, it's that unexpected spike of sweetness mixed with savoury common in much of Asian cooking. Deep fried pork chop - $8. 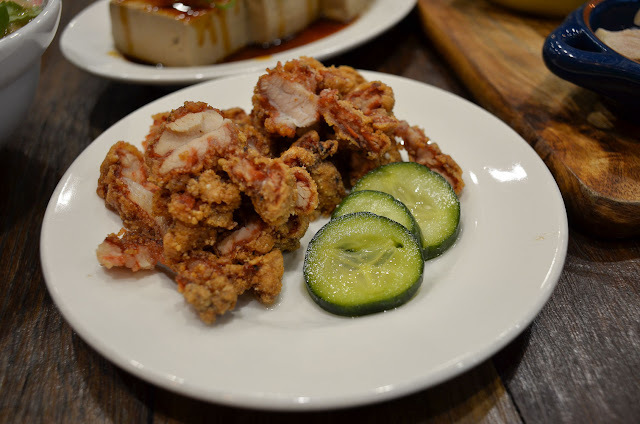 If you're a fan of Hot Star, you'll love this pork with the bright red belly under the crisp coating. The colour comes from coating the pork in red fermented tofu and a brightness of flavour comes from plum powder, a signature addition to Taiwanese schnitzel. Traditional Taiwanese thin noodle soup with pork intestine - $7. We found varieties of this soup all over Taiwan, a favourite when the weather turned or our feet gave up and we needed to stop and rest. 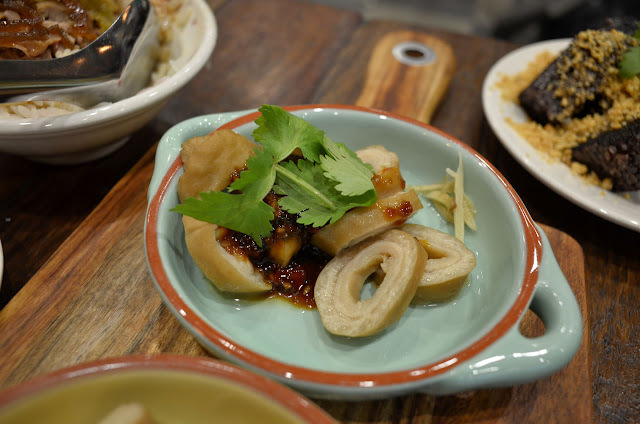 Often served with oysters for a fishy hit, pork intestine was our next favourite. Other more refined persons wisely know it as mi sua. The soup is slightly goopy from the starches and noodles, earning it a nickname from us of 'goop soup'. Jonathan Gold described this style of soup as "mucilaginous" with "this weird sort of sweet smokiness, like somebody had stubbed a cigarette out in it." Couldn't say it better, and we love it. 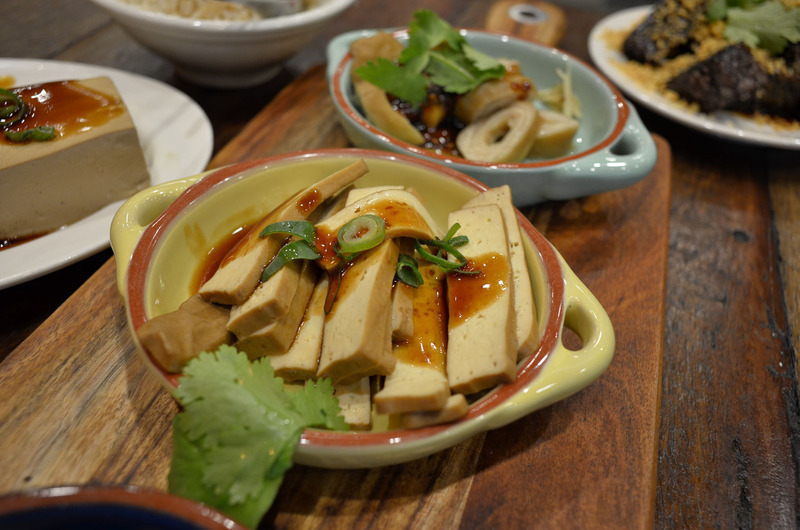 Braised tofu - $7. We ended up with more braised tofu, but this version comes in the way of compressed tofu, slightly harder than the braised silken tofu earlier. Good snacking 'fu. Braised pork intestine - $8. Why stop at one plate of intestines when you can have more? Same dollop of chilli and garlic sauce, same slight hint of poo. The Secret Alley is at 9 Kimber Lane and the corner of Little Hay St, Haymarket/Chinatown. New apartments that replaced the Entertainment Centre going up in the background.